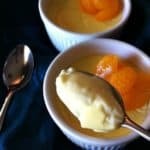 This easy almond custard recipe is light and soft, made with a milk base instead of heavy cream. It has a silky mouthfeel with just a brush of sugar and fragrant almond extract. I have a sweet tooth, and it’s particularly partial to custards. You really can’t go wrong if you serve me custard for dessert, and it’s with great restraint that I’ll keep myself from licking the dish–I’ll certainly scrape the sides with my spoon and lick that clean! 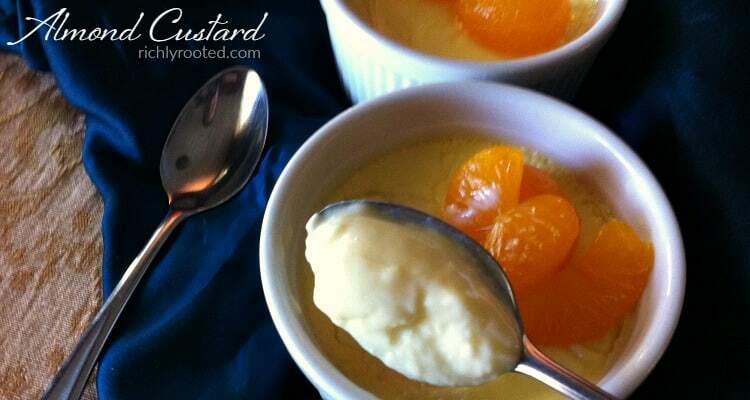 I adore custards because they’re so simple yet refined at the same time. It’s also easy to customize them with any extract or seasonal fruit you have on hand. Recently I made custard off the cuff because it sounded so irresistible. I wanted to make something very light, smooth, and soft, so I opted for plain milk as the base, rather than heavy cream, and just enough egg yolks to allow the custard to set without becoming dense. Since almond is my favourite kitchen flavouring, I added some of that. I whisked everything together while Little Dude watched from the stairs with his board book and bear, and let the finished custards chill while we afternooned. I had a lovely sensation in my mind of what I wanted that custard to taste like, and readers, it didn’t disappoint! Preheat the oven to 325. Heat the milk in a saucepan over medium heat, stirring occasionally, until simmering. Add sugar and stir to dissolve. Turn off heat. In a separate bowl, whisk egg yolks for one minute until thick and lemon coloured. Drizzle hot milk into egg yolks, whisking constantly. Stir in 1 teaspoon of almond extract. Pour or ladle custard mixture into four oven-proof ramekins. Place ramekins in a deep glass baking dish and pour boiling water into the baking dish until it reaches about 3/4 of the way up the sides of the ramekins. Bake custards for 1 hour. While custards bake, open the can of mandarin oranges and drain out most of the syrup. Pour oranges in a small bowl and sprinkle with remaining 1/2 teaspoon of almond extract; stir. Cover bowl and let oranges chill in fridge. When custards are finished baking, remove from baking dish, cool slightly, and then chill thoroughly in the refrigerator. 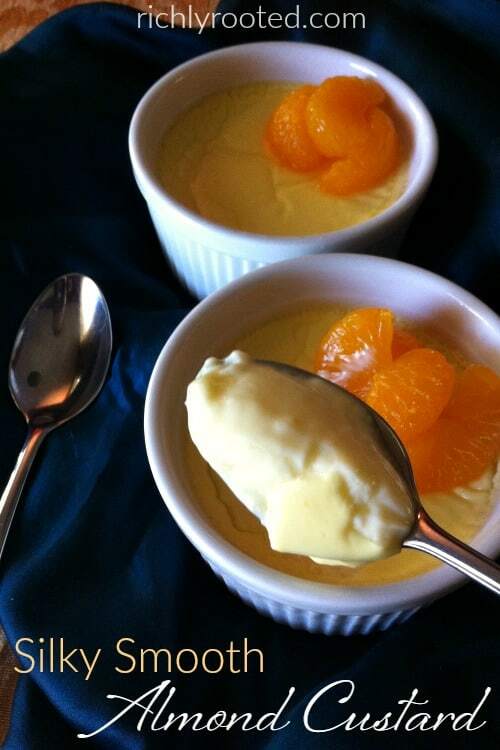 Before serving, top each custard with chilled mandarin oranges. Do you think Almond milk would work just the same? 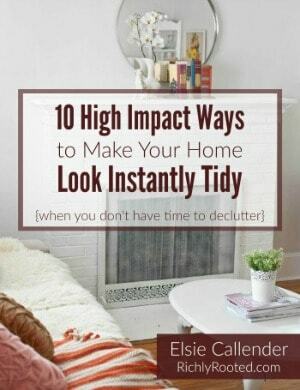 I have not tried it that way, but I believe it would. The egg yolks should thicken the custard regardless of what milk you use.